There’s something for everyone in the Lehigh Gorge State Park. 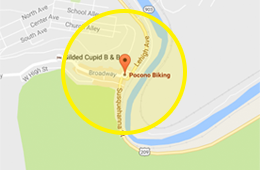 From a simple downhill bike ride to a fully guided hiking, biking and rafting tour, you’ll find something to fill your Pocono Mountains vacation with adventure! View our shuttle schedule or choose from one of our specialty trips! Explore our event calendar and start planning your trip to historic Jim Thorpe, PA today! Choose your dates. Then, just scroll over the dates to see what events are on the schedule. Click each event link for all the details. 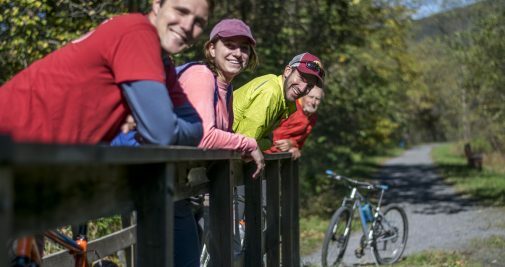 If you have additional questions about any of our events call 1-800-Whitewater (1-800-944-8392), our reservation staff are ready to help you plan your Pocono Biking adventure today! 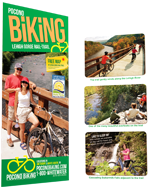 EXPERIENCE THE LEHIGH GORGE RAIL-TRAIL BY BIKE AND FOOT.